I hope she enjoys gardening out here as much as we enjoy having her family out to enjoy our farm! This summer I decided to try out a new option for growing vegetables, it’s called straw bale gardening. I heard about this from my mother-in-law who told me that I should try this out. I did some reading up on it online and found that it’s a new and easy way to plant your garden. In past years I have used my raised bed garden which is 4 feet tall by 6 feet long and it works great for me to be able to pull right up beside it in my wheel chair and either work from my chair or stand up and use the garden to hold onto while I stand, another way to do some physical therapy. 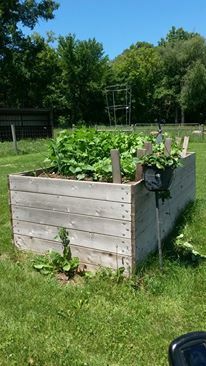 Pictured above is a photo of what my raised garden bed looked like last year. 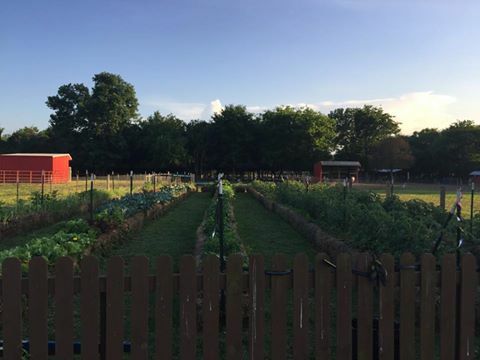 The only big problem I have with this garden is that when I plant tomatoes, zucchini, or anything else with a long vine it tends to take over the garden. That is why this year I bought six “Better Boy” tomato plants and planted them into two straw bales. 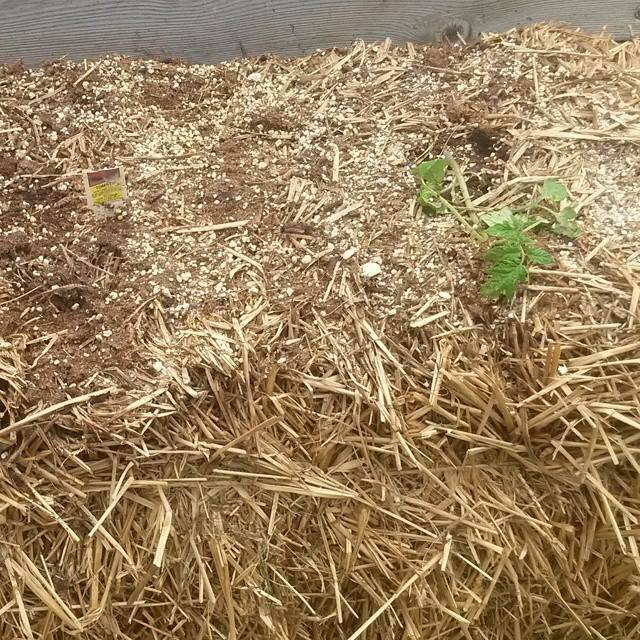 Back to planting the tomato plants; what I did was found two straw bales and let them get “conditioned” outdoors for a month before I was ready for them to be planted. Conditioning means that you are letting the rain break down the bales and making the straw easier to contend with. They also say that you should put some Miracle Grow or other type of plant food onto the bale for a while and let the rain wash the food into the bale. Now if you’re not getting rain you’ll have to water the bales yourself, but this year that has not been a problem as of yet. A week ago I bought my tomatoes and took a small garden spade and dug a 3 slits into each bale and put the one plant into each hole. Then I took some potting soil and helped fill in the hole where there was still space. As of yesterday the plants were still looking a bit rough, but I used the Facebook page to ask a few questions and they told me to add some more plant food to the plants so hopefully this will work. Pictured above is a superb looking straw bale garden that a farmer posted to the Facebook page, so obviously it does work well. I’m in no way a veteran at doing this and if you want to do a straw bale garden for yourself I suggest that you read up on it more before planting anything. I hope that it works out well for me and I’m able to produce lots of tomatoes for my homemade salsa and maybe my mother-in-law Rozetta will make some more of her awesome spaghetti sauce! I will update you as the growing season goes on and if you try this out please let me know how it goes.